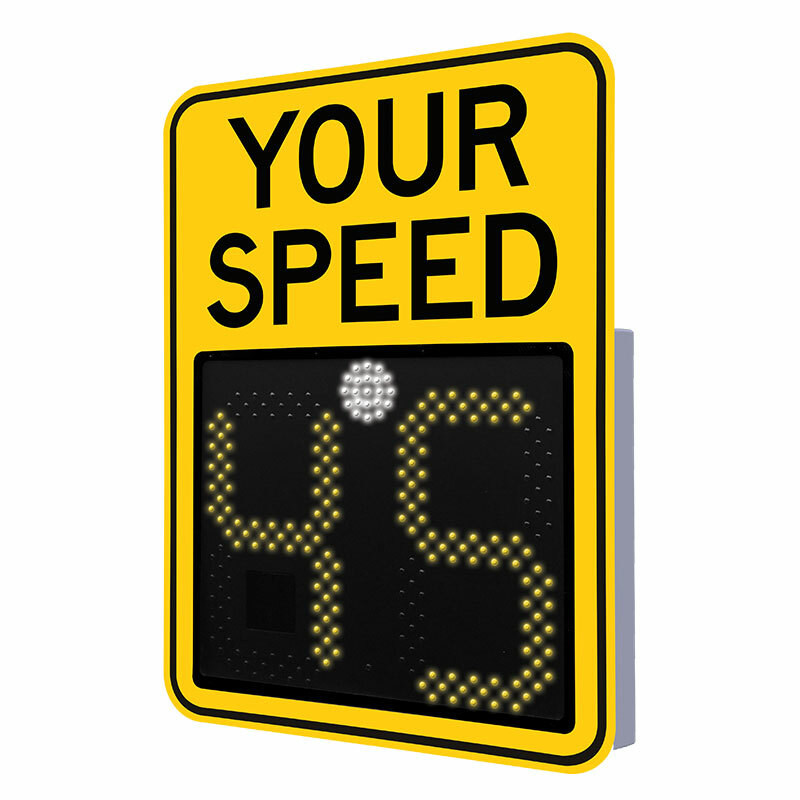 The SafePace 475 speed display sign is a full size sign with extra large 45.5 cm digits for improved visibility as vehicles approach from a distance. With static Your Speed text, the SafePace 475 sign displays driver speeds and can be programmed to flash when designated speed is exceeded. In addition to the user friendly software, vandal resistance, and low power consumption all SafePace signs offer, the SafePace 475 boasts optional battery power and a universal mounting bracket, making it a robust new offering for safer streets.